The Pennsylvania Academy of the Fine Arts (PAFA) is the nation's first art museum and school of fine arts, and one of a small handful of art museums which allows guests to dine within the galleries. 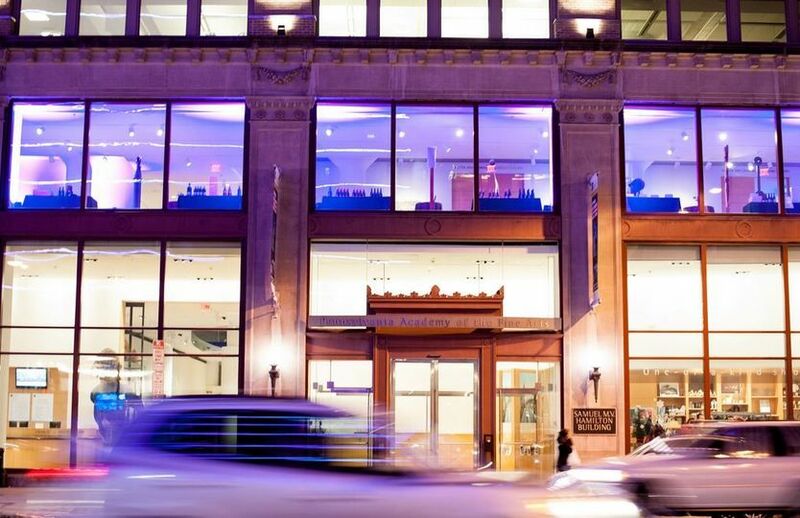 Conveniently located one block from City Hall, PAFA is right next to Philadelphia's premiere hotels, transportation hubs, and parking options. 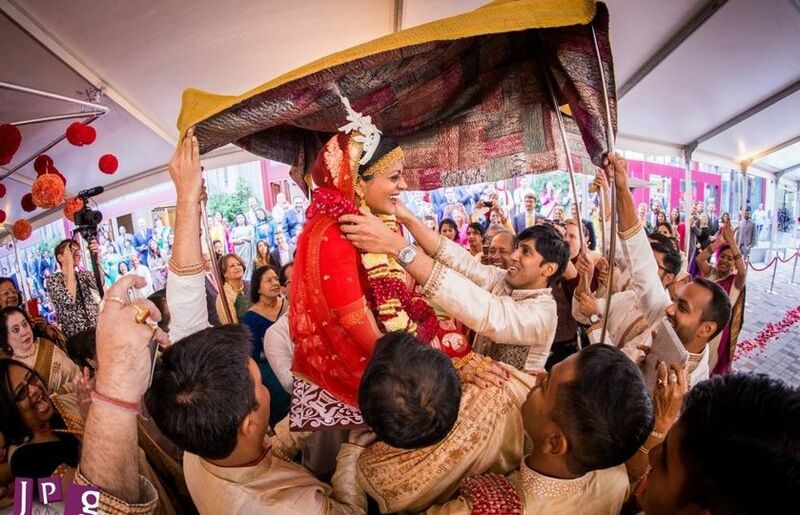 Weddings for 100 guests start with venue and catering around $24,000. To schedule a tour and find out which PAFA space is uniquely your style, email Kate Young (kyoung@pafa.org) today! 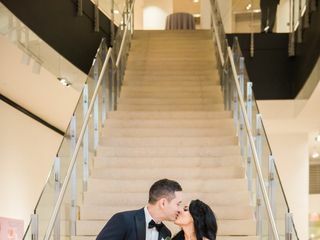 The Historic Landmark Building will stun your guests with its grand stair case, ornate entryways, and arches. Set the mood for your celebration by surrounding your party with the luxurious and timeless architecture from 1871. Couples choose this space to give their wedding a wow factor! 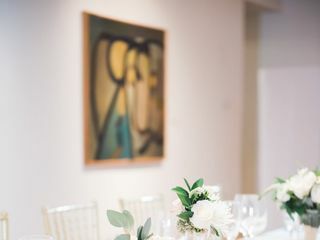 The Hamilton Building offers a chic, modern gallery space to get a party started! A soaring lobby welcomes your guests and floor to ceiling windows give a peak into the city below. Bright and airy, this space automatically gets guests in the mood to celebrate! 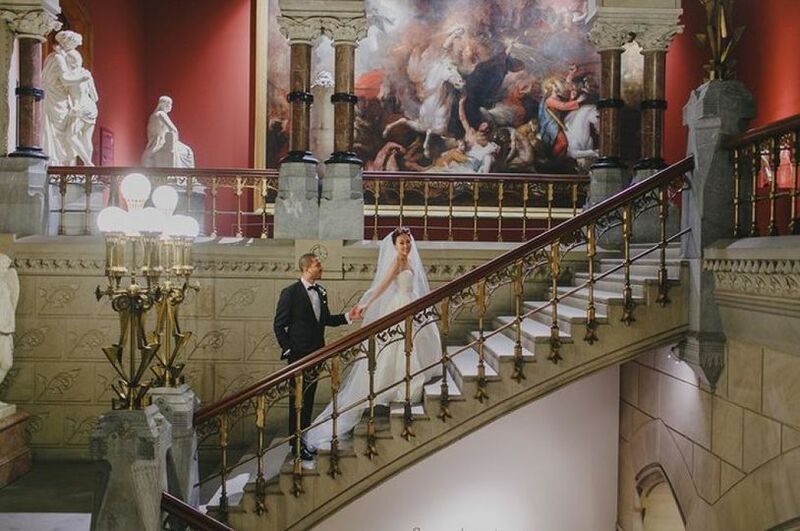 We are so glad we chose to have our wedding reception at PAFA's Historic Landmark Building. 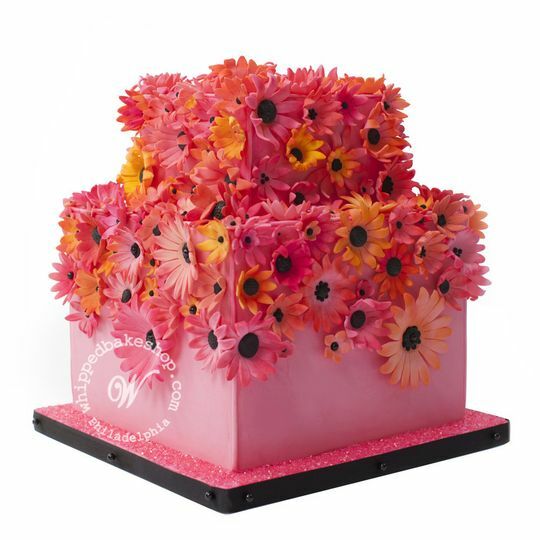 We worked closely with Kate McCammon and Duffy's Catering (one of their two caterer options), and we also worked occasionally with Kate Young. Everyone was extremely kind, organized, quick to respond, and knowledgable. Kate McCammon shined as one of the best vendors we worked with; when it came time to organize day-of timeline details with our other vendors, I learned that Kate was already in contact with all of them and that she accomplished this huge organizational task for me. 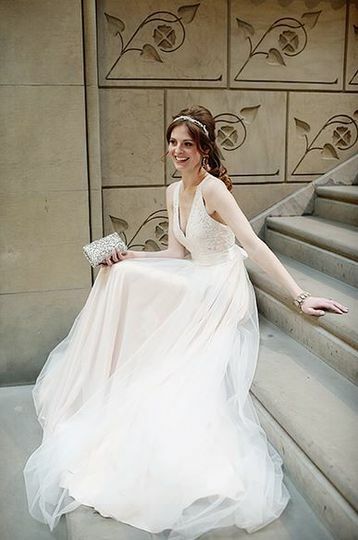 Talk about a bride's dream! Our wedding day went off without a problem, and our guests LOVED the venue (obviously, we did too). We had around 150 guests, which was the perfect number for the rotunda. 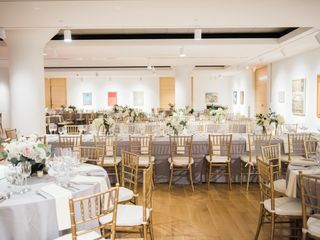 The art along the walls made for beautiful decor, and an unforeseen pro of our venue choice was that we could keep our florals and other decorations simple (and more affordable) so that PAFA's art could shine. Our guests also enjoyed having two galleries opened during the dancing portion, so that any one who needed a break from dancing could mingle and enjoy the art. We had our Photobooth in one of the side galleries, which encouraged people to continue enjoying the art. 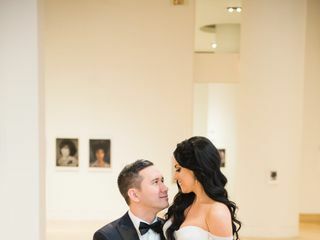 Our first look was in the cast room and our family photos were in a portrait room, and you can see from the pictures that ALL the areas PAFA has to offer will be gorgeous during the wedding day and in the photos afterward. If you want classy, glamorous, and professional at an affordable and competitive venue price, then I highly recommend PAFA. We would choose PAFA over and over again if we could. 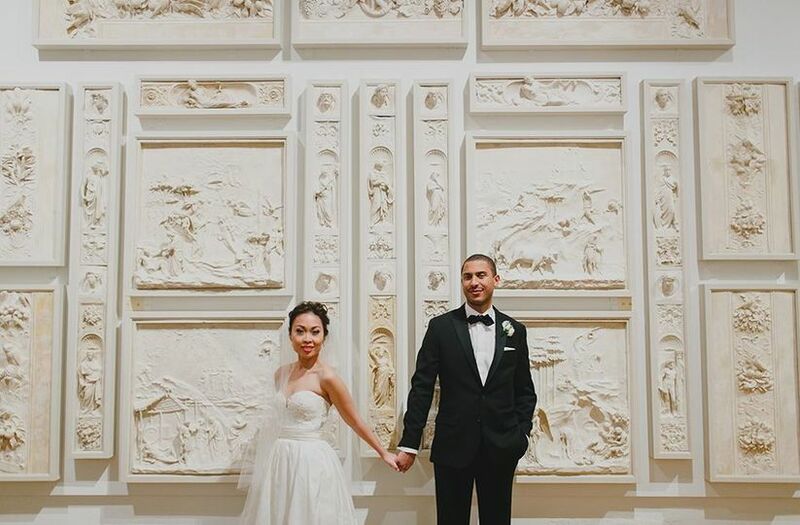 PAFA: A dream wedding in a magical venue. 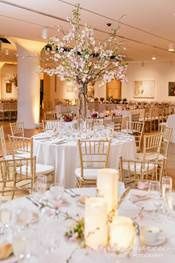 Pennsylvania Academy of Fine Arts (PAFA ) is a magical wedding venue. Staff worked with us to achieve our dream wedding and everything promised was delivered. We give them 7 stars and would book with them again without hesitation! 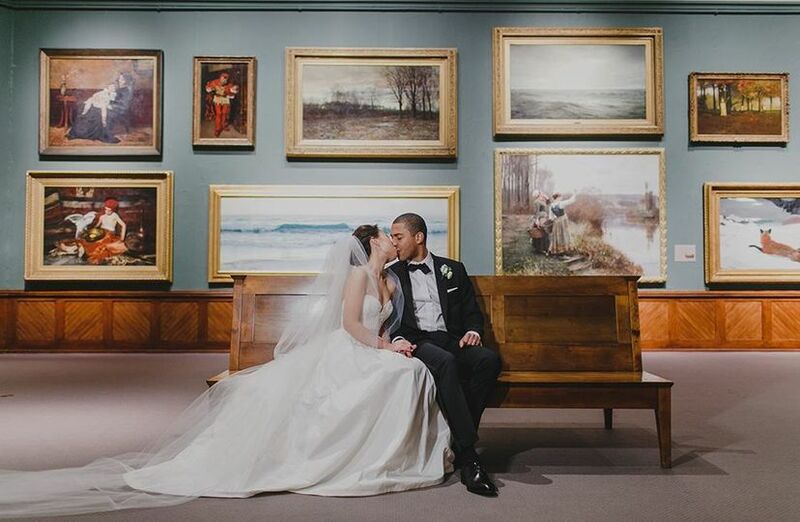 We rented the Historic Building of the Pennsylvania Academy of the Fine Arts, PAFA for our wedding. The building’s architecture is a fantastic backdrop to any event but especially a wedding. The beauty of the building is that you can have your ceremony and reception at the same location. We met Kate Young, the Venue Manager on a Saturday afternoon. Her demeaner, caring attitude and professionalism is what made us decide to go with PAFA. Then we met Kate McCammon, Event Coordinator and she was just as wonderful and helpful as her colleague. We never had any regrets with our decision. Both Kate’s have the experience and dedication to their work that made for a stress free and elegant wedding. They both gave you their full attention, were always on time for appointments and answered emails the same day if not within hours of receiving it. They were able to coordinate all of our vendors, had suggestions when we were stuck with a decision and made our wedding a fantasy come true. Our guests are still talking about the venue, the staff and the food. We made the right decision hands down. 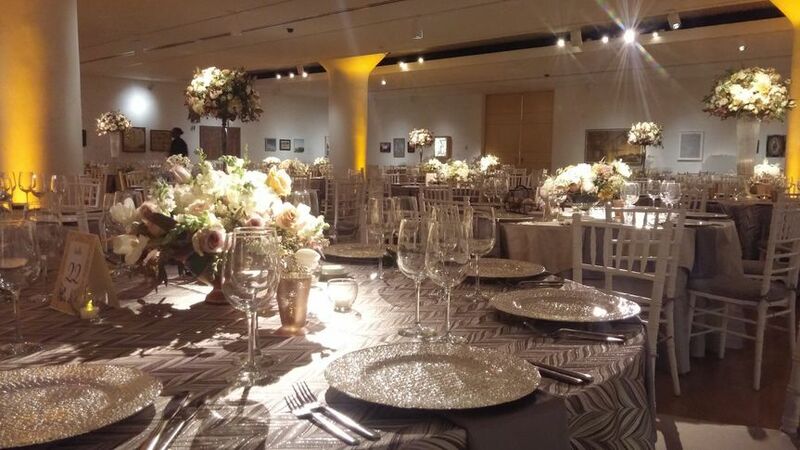 We, without hesitation, would recommend PAFA for your next event. 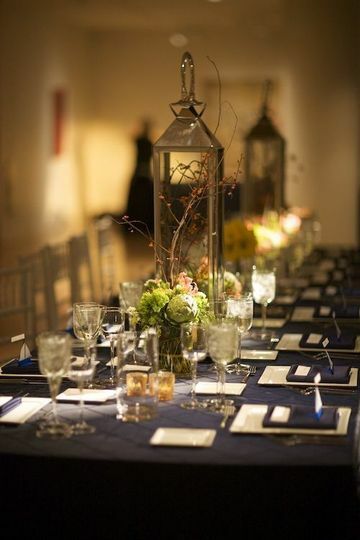 PAFA offers both historic charm and modern appeal in its event space offerings, and the in-house catering by Duffy&apos;s is spectacular!